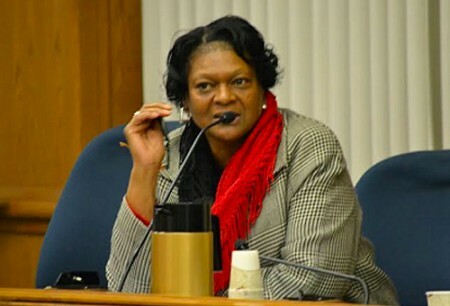 RICHMOND, Va. — As a Virginia state House committee on Thursday shot down the last hope for any expansion in LGBT rights in this year’s General Assembly session, Richmond’s own black female delegate compared the struggles faced by the LGBTQ community to her own. “At some point, this general assembly is going to have to advance the cause and make sure that discrimination anywhere is wrong against anyone,” said Del. Delores McQuinn (D-Richmond). Even though she knew the bill before her was going to die, she wanted to make it known she knew what it was like to be discriminated against. McQuinn was speaking in favor of Senate Bill 785, a measure which would have banned anti-LGBT discrimination against state and local government employees. On Thursday, the House General Laws Subcommittee tabled Senate Bill 785, while the House Courts of Justice Subcommittee tabled Senate Bill 1211, a measure that would have added gender-neutral language to Virginia’s marriage laws. The two bills were the last of several bills aimed at expanding rights for LGBT Virginians — all of which died in this session.